Baby shark on board! Baby shark has become one of the most iconic songs of 2019 and we at Tenstickers love to jump on a trend and make it even more trendy! 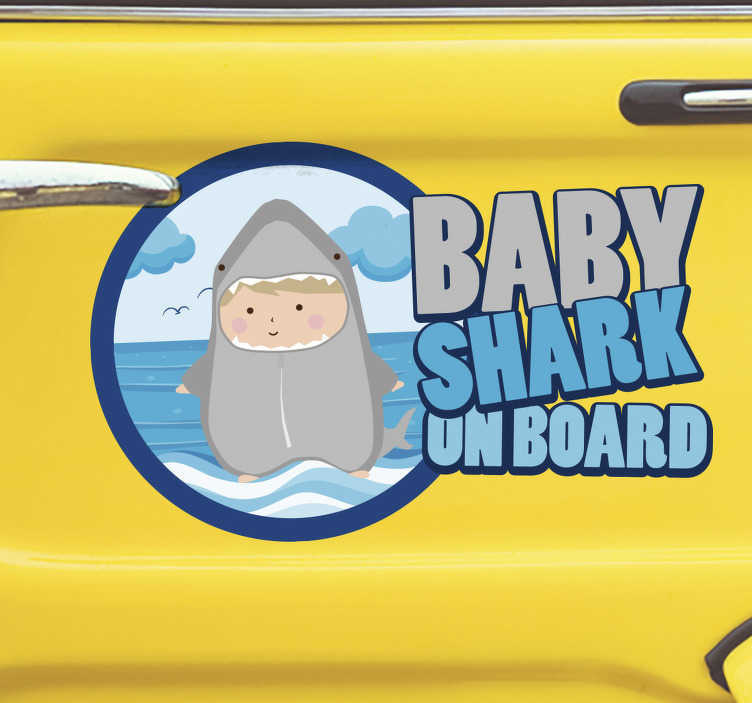 As such, we are delighted with our incredible selection of Baby shark stickers, of which this baby on board sticker is one of our very finest!